Situated at the peak of the Stormcall Mountain in the Five Kings, Anen-Prezscha is an ancient ruin dating back to the time of the Azlanti Empire. 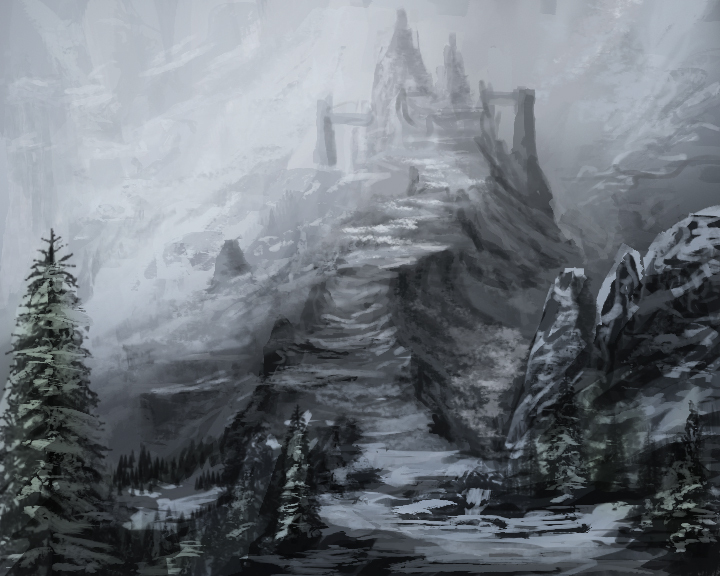 Built within the hollowed-out mountain, the ruin of Anen-Prezscha was constructed by servitors of the ancient aboleth to serve as a halfway point between their terrestrial servants and their own watery kingdom. Once operable subterranean passages flooded with water led into the Darklands, now collapsed after centuries of disuse and the ravages of time. At one time Anen Prezscha housed a store of aboleth landsuits, devastating constructs that allowed the aboleth to walk on land. Now these suits lie in ruins, and the preserved aboleth of ancient times that were once contained here as a contingency plan for their people all long dead. Degenerate morlocks, descendants of the enslaved servants that once lived in the dwellings carved into the mountainside, were wiped out after Seriphos, Birch and Oniia along with the Professor ventured into Anen-Prezscha to find the Castle of the Storm King that had been trapped there for untold time. Now the territory has fallen to the Thundertusk ogre tribe, a markedly benevolent and strangely intelligent tribe of ogres that had lived on the foothills of the mountains.